Prescription drug abuse has become more common than the the use of traditional illegal substances. Unfortunately, the government has attempted to combat this trend by filing criminal prescription fraud charges against more and more doctors. 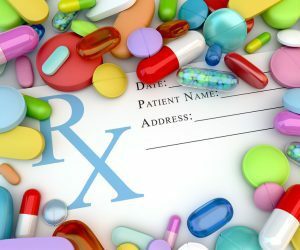 Under the Controlled Substances Act, the government must prove that a physician knowingly and intentionally prescribed a medication outside of “the usual course of professional practice” or not for a “legitimate medical purpose.” So a doctor can be subject to prescription fraud charges by writing a prescription for a patient, or himself, that is for recreational use rather than medicinal purposes. Often, the government attempts to use medical records and charts to show a pattern of over-prescribing a certain medication, usually an opioid pain medication like Oxycontin and Oxycodone (Percocet). It is also not uncommon for law enforcement to send an undercover officer or an informant to a doctor they suspect of prescription fraud. Other drugs that are commonly involved in prescription fraud cases include Diazepam (Valium), Lorazepam, Hydrocodone (Vicadin), Alprazolam (Xanax), Morphine, Codeine, and amphetamines like Adderall. Did A Crime Actually Occur? One problem with these cases is that a person’s pain is subjective, so a doctor must be able to rely on what a patient is reporting. A doctor is expected to ask some questions to evaluating a patient’s medical needs, but a doctor is not a law enforcement officer. He or she is not obliged to conduct a thorough, independent investigation of each patient to determine whether the patient is simply saying what he or she needs to say in order to get a prescription. Many of these cases are not very appealing to Arizona jurors because it appears that the government is attempting to criminalize the work of a well-intentioned doctor. Sometimes, however, it is better to avoid the risk of trial by working out an agreement that allows a doctor to keep his or her license and continue practicing medicine. Patients can also be charged with prescription fraud if they try to forge a prescription, use an invalid prescription, use a someone else’s ID to fill that person’s prescription, alter a prescription, or give false information in order to obtain a prescription. Some of these actions can lead to felony forgery or identity theft charges as well. It is also a felony offense in Arizona to import prescription drugs from Mexico for sale or transfer. Under A.R.S. § 13-3406, manufacturing, selling, or distributing a misbranded drug is a class 4 felony, punishable by up to 3.75 year in prison. 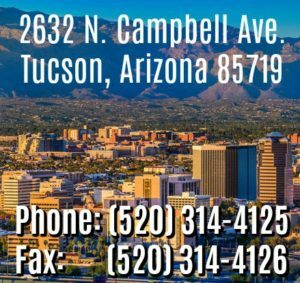 Possessing or transporting a prescription-only drug for sale, or importing a prescription drug in Arizona can be charged as a class 6 felony, punishable by up to 2 years in prison. All other violation of the statute are class one misdemeanors, punishable by up to 6 months in jail and a $2500 fine. For doctors, these charges are even more serious because they can affect licensing. Prescription fraud can also be a federal felony offense. In federal “pill mill” cases, the government may charge a doctor with possession with intent to distribute controlled substances and even money laundering and racketeering. Obviously, these charges are much more serious than simple prescription fraud in Arizona state court. Not only can they result in substantial federal prison sentences, but the DEA can revoke a pharmacy’s license. If you are facing prescription fraud charges in Arizona, as a doctor or a patient, call us for a free, confidential case assessment at 520.314.4125 or contact us online.